Welcome to our inaugural agent spotlight. This is a new feature of our blog where we will take some time and profile some of our current users. If there are any questions you would like to ask us, or if you would like to be featured in our next agent spotlight, please contact us via our contact form. What area of Colorado / type of property do you specialize in? Steamboat Springs and the Yampa Valley in Northwest Colorado. I specialize in resort homes and properties. What other real estate contract software did you use before switching to BULL Forms? 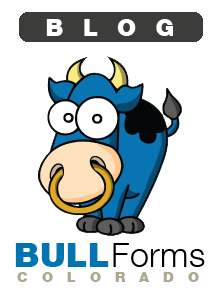 Tell us how BULL Forms has helped you in your day to day business. What I especially like about BULL Forms is the time it saves me. I have a Mac and most real estate forms software are not Mac friendly, especially RealFast. To write a contract, I would have to open up a Windows environment on my Mac, then open the software, then click on the form I wanted and wait for the blank form generate. Then when finished I would have to save in a proprietary format, then save to a PDF, then save that in a shared folder so I could print or send from my Mac. With BULL Forms, it’s browser-based, so I can get to it on any device, the interface is clean, easy to read and use, AND I can print a PDF at anytime in the process. A form that took me 20-30 minutes to create on RealFast, now takes me about 5. What are your favorite features of BULL Forms? What features would you like to see added to BULL Forms? “With short sales and foreclosures becoming a bigger piece of our business, we need larger space to fill in for Additional Provisions and Attachements would be helpful. Offline support could be useful for when internet access is not available. E-signatures are great, but they do seem to be in a beta stage right now. The ability to auto-populate the signers, their email addresses and relationships would make the process run more smoothly. Also, I would like to see the ability to attach other documents to the forms I’m sending out for e-signature. BULL Forms Note: We love feedback! Positive or negative. In response to user feedback, we have added more space in the additional provisions. You can also add an additional blank amendment to your contract. This is the first time we have heard about offline support, as it is built into some of the newer browsers this is definitely a feature we will look into adding. E-signatures is currently in its first iteration. We have some pretty exciting functionality updates in the works. Paperless is the future, and we are working on some cool things. We will notify you when we improve the functionality! What do you do when you are not selling real estate? What are some of your hobbies? I’m also a snowboard instructor at Steamboat in the winter. In the summer, I like to bike, hike, camp and play golf. What other online applications outside of forms would you find helpful in your day to day life or business? A better County Records search than what my county already provides is top on my list. We would like to thank John James for participating in our first agent spotlight. Please do yourselves a favor and follow him on twitter, @1stduderiding. If you have any questions or concerns please feel free to drop us a line via email… support at bullforms.com or use our contact page.